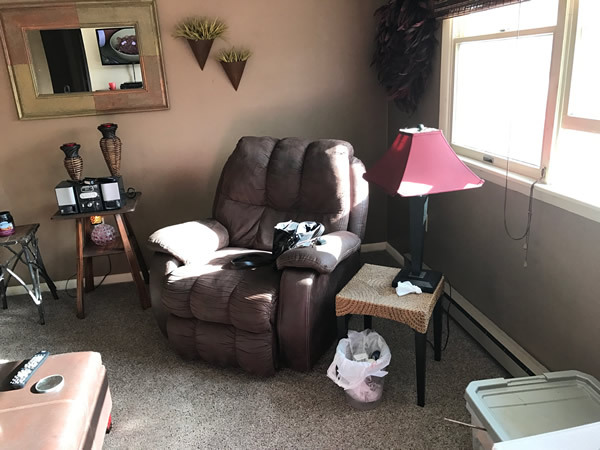 Susan had a flood and certain rooms of her home were in transition. 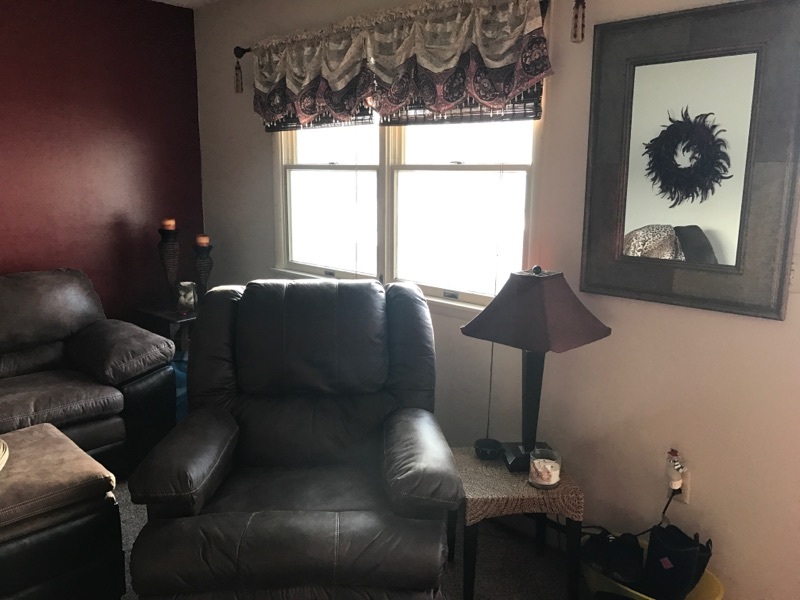 As she shared about what she liked and didn’t like in her home we began to have an inspiring conversation about ideas and actions she could take to create rooms that nourished her. 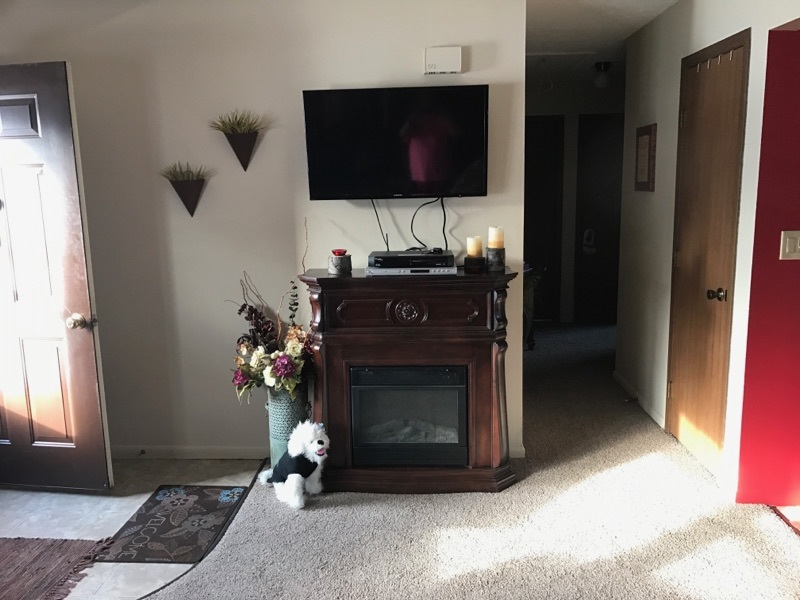 Sharing both the Bagua Map and the Five Elements for harmony, I allowed Susan to see that she could create balanced and beautiful spaces that enhanced her life. 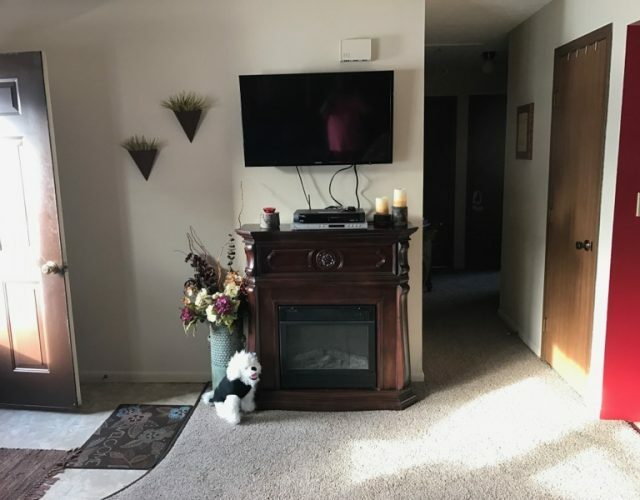 She did not like several items in the living room including some of the artwork and some of the furniture. 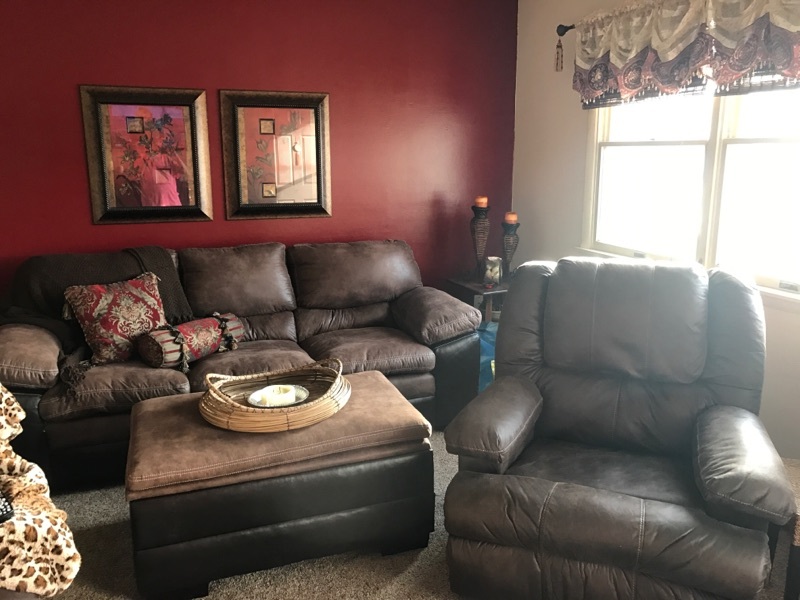 In feng shui, living rooms celebrate who we are in relationship to our communities and she wanted one that felt good to her and would welcome her friends and family. 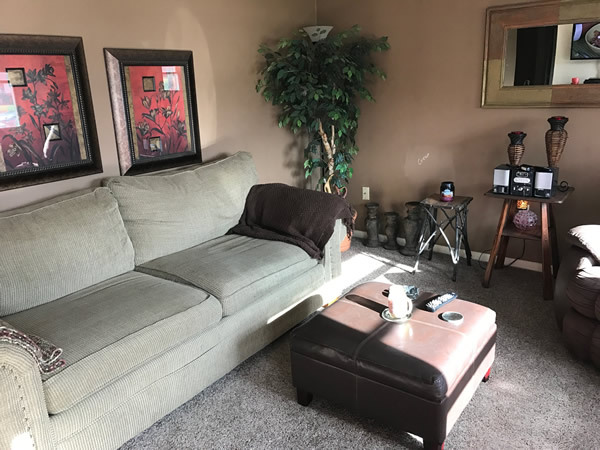 Her living room happens to be located in the Helpful People and Travel area, which is about seeing yourself as a helpful person and connecting with others who can support your life, career, and creative expression. It’s also about the places you would like to travel or have loved visiting. 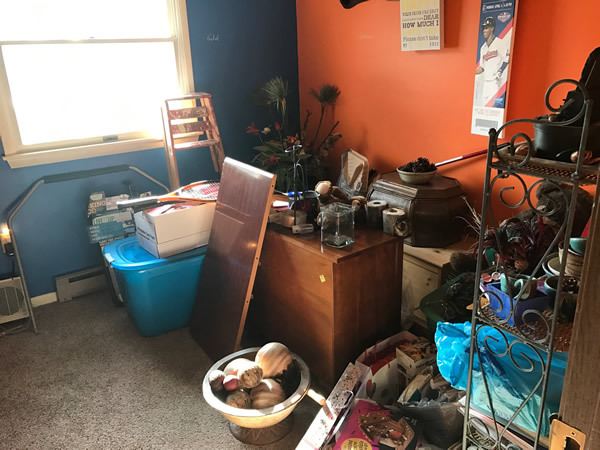 Susan cleared away many items that she no longer needed, used, or loved knowing the practical and profound difference this would make for her home and life. Our collaboration freed her to live with items that deeply inspire her now. She plans a career transition to becoming an entrepreneur. 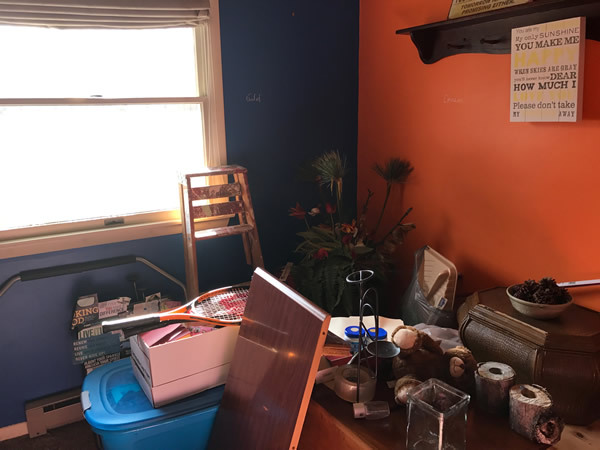 The actions she takes to create inspiring spaces will support this transition. Clearing away the past, she makes way for her future. Susan’s bedroom was missing the fire element, which holds the energy of warmth and enthusiasm. A dresser with a mirror faced her bed. 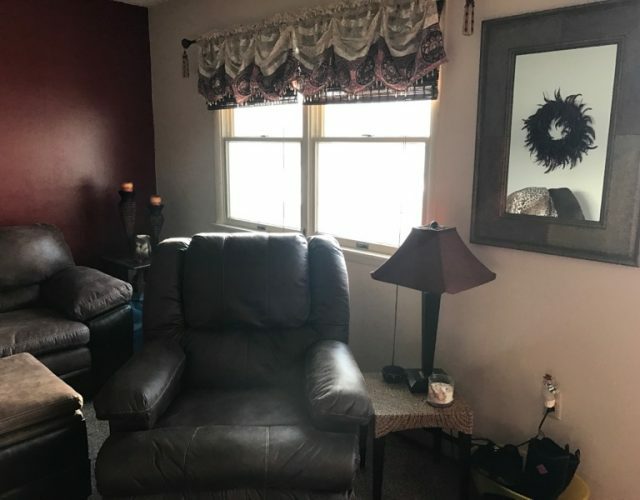 I shared that mirrors across from beds aren’t optimal because they hold strong energy in a room where serenity is important. 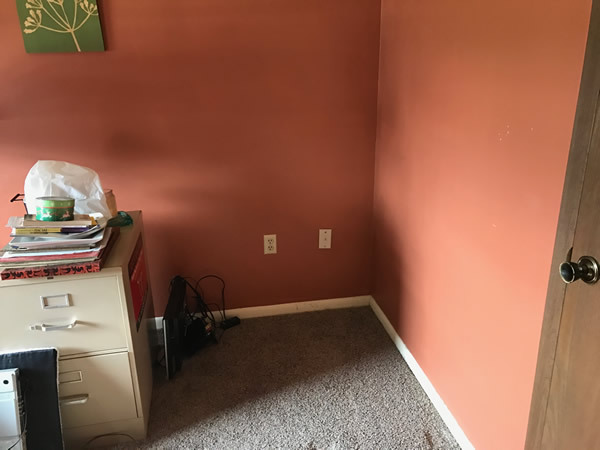 I suggested she relocate the dresser to the other wall of her bedroom to the left of the doorway. Her bedroom is located in the Prosperity area, which relates to living an abundant life. 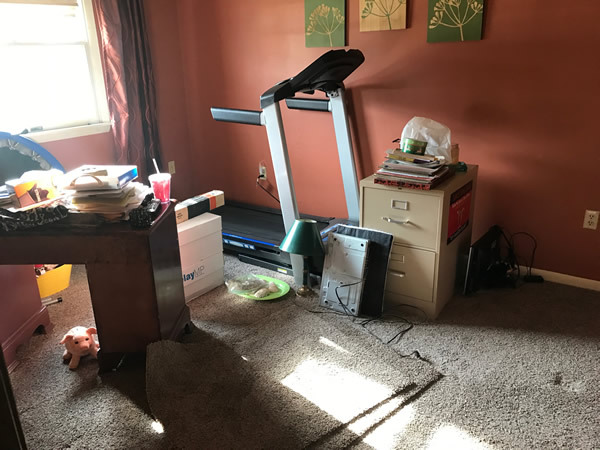 The exercise equipment in the living room got relocated to what Susan named the exercise/sanctuary room. 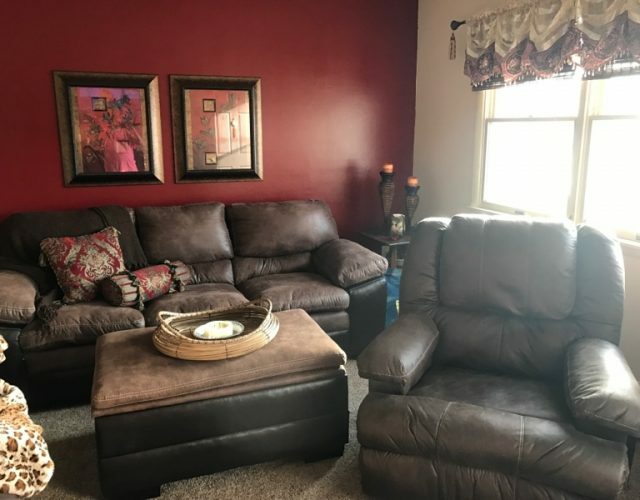 Then she worked to create a living room she would love. Bringing the element of metal with the cream colored wall helped balance the earth, water, and fire elements that were strongly represented in the room. 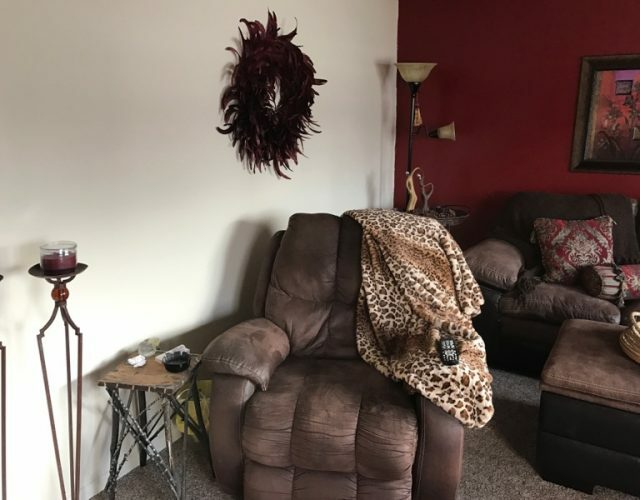 Susan purchased a new couch that she loves. 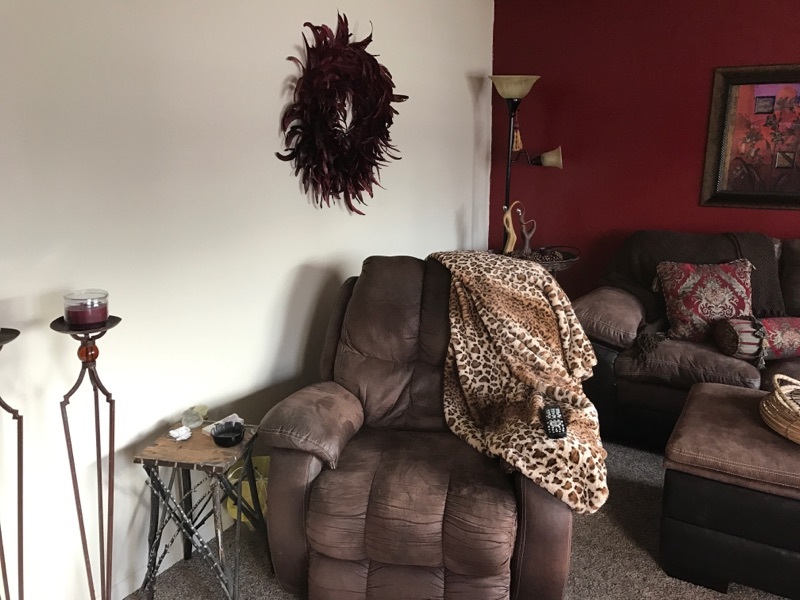 She enhanced the love corner of this room with her dancers statue. 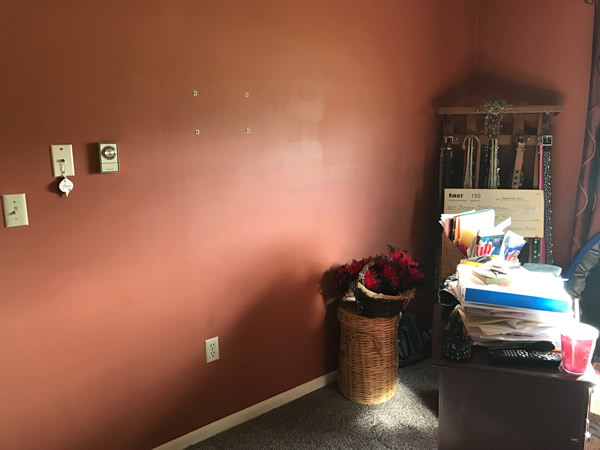 She removed other artwork that no longer inspired her. 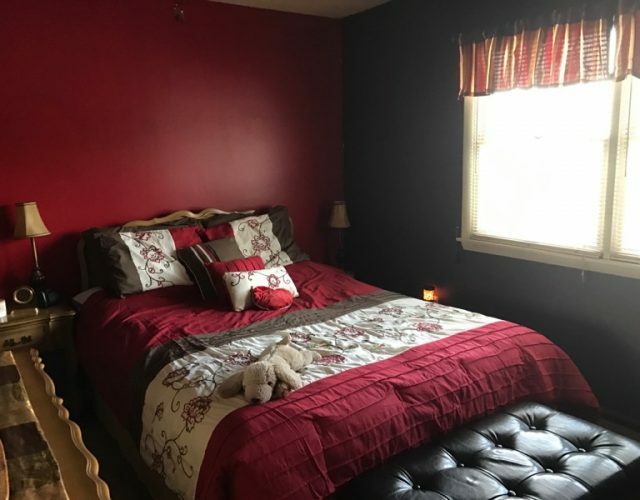 She warmed up her bedroom with a shade of red (fire) she loves for the bed and one wall. 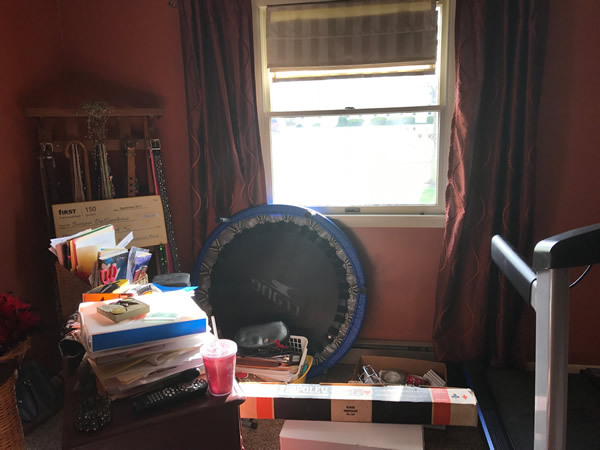 Moving the dresser to the left of her bedroom doorway created excitement for Susan’s additional action steps as she noticed how good this shift felt. 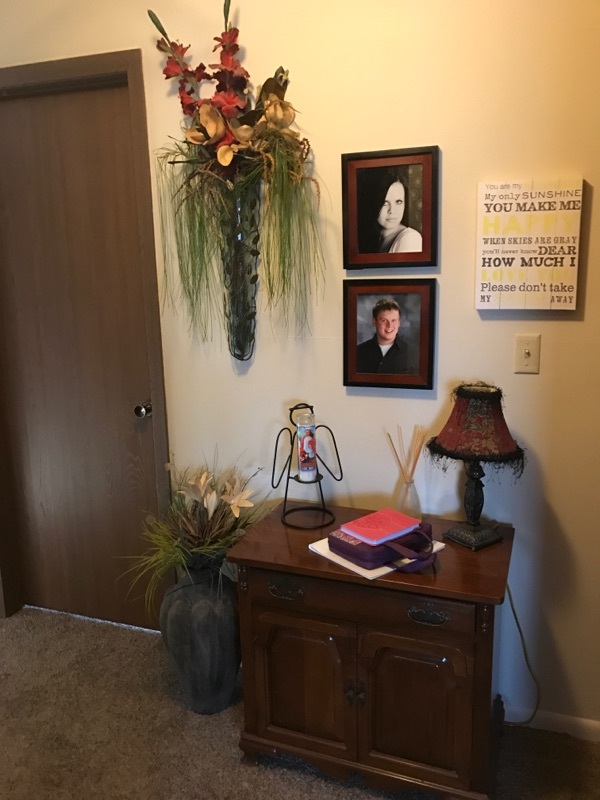 Wood is represented in the room in her dresser and night stands. 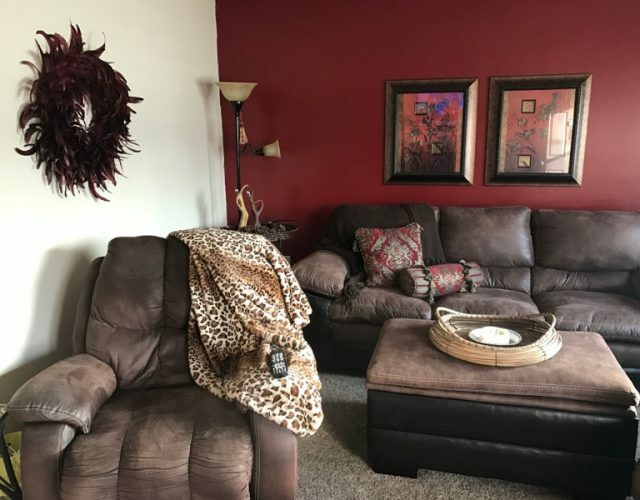 Earth, metal, and water flow into the room in the items that are brown, black, and cream including three walls painted chocolate brown. 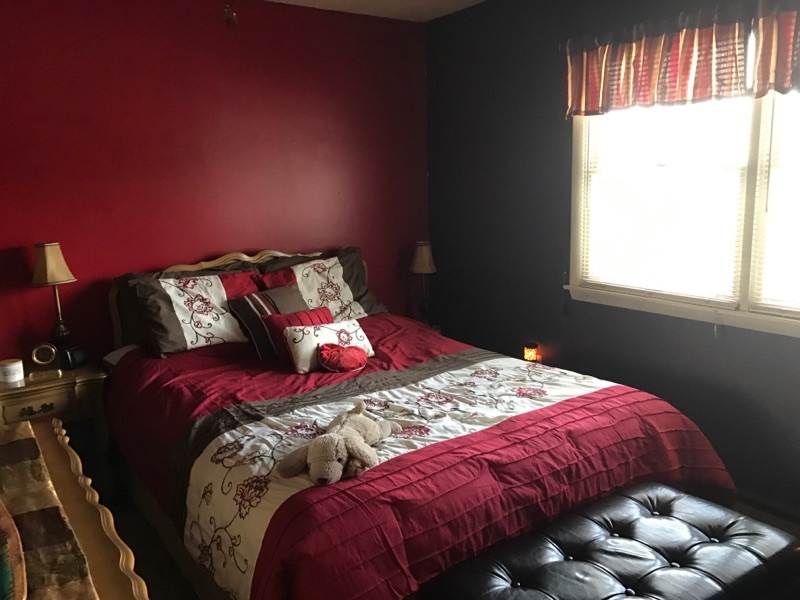 Her inspired actions transformed her bedroom into a welcoming haven for serenity and sensuality. 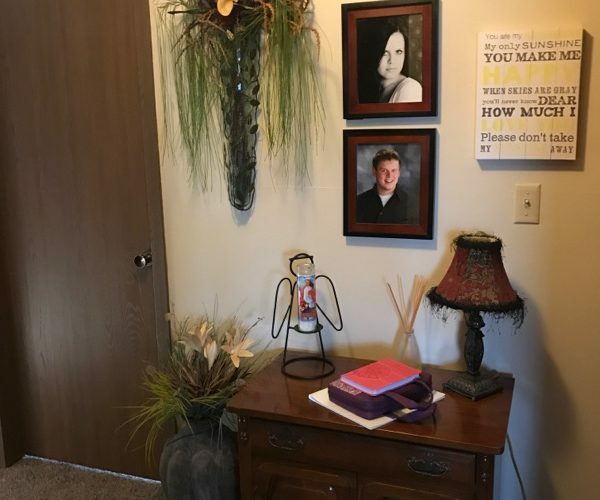 She enhanced this section of her hallway and sees this when she walks out of her bedroom. 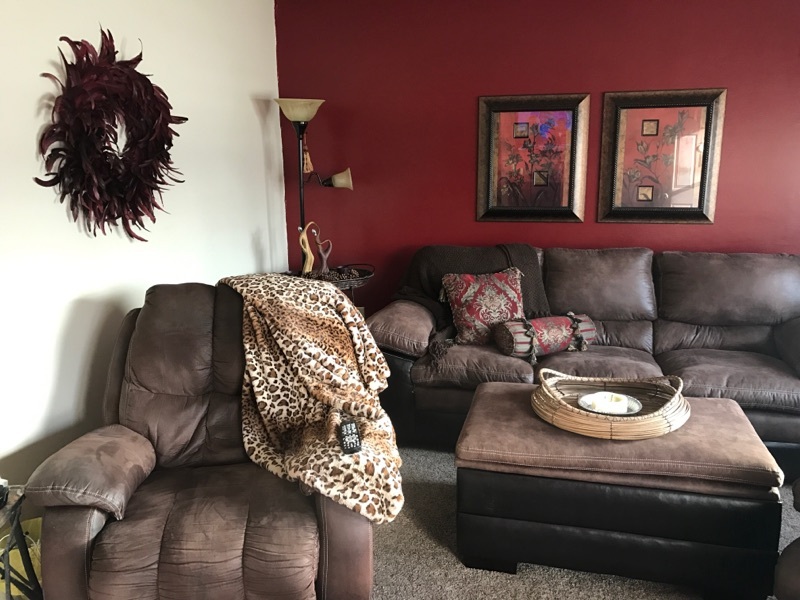 Using artwork, furniture, family photos, and another paint color she loves, Susan brought together all five elements to create harmony in this space. This visual beauty softens and uplifts the experience of a relatively long hallway in her home.